There are few months left to see the new iPhone 8 and expectations are getting higher, as well as its price, where it is estimated that it could exceed the $ 1,000 start. While the iPhone 7s with less new features could be the " economic " alternative. Apple has been a persistence company for many years, many think that the great surprise for the iPhone "tenth anniversary" are reserved, others say that the " Titan " project , where Apple was supposed to be working on a car of its own, stole too many engineers. These assumptions may have some truth, as well as their high price, it would not be surprising that the base price of iPhone 8 exceeded 1,000 euros for several reasons, the first reason would be that Apple Fans will always buy a new iPhone no matter the High price. Thus, as we have seen in all its products, any news that comes every year on renovations terminals Apple, tend to increase the price. In the case of Apple Watch we could see how a gold version exceeded $ 18,000, so it would not be surprising to see such a high starting price for a model expected by many. 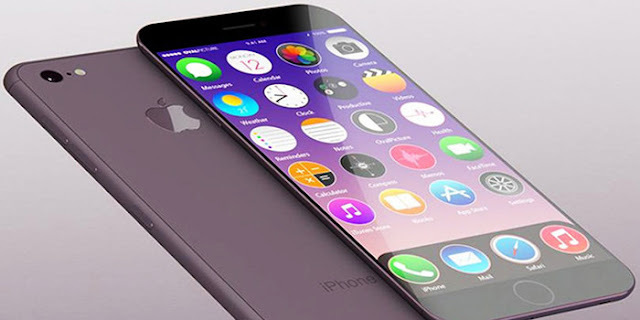 The new version of the iPhone is expected to come in 3 different versions, for iPhone 7s there will be two variant (one 4.7 inches and one with 5.5 inches) with hardly any features, just some internal improvements and a design similar to previous one we see today on the streets. The main deal would come with the iPhone 8, the new flagship of Apple is expected to include for the first time an OLED screen with 5.8 inches. This version could also be called " iPhone X ", referring to the tenth anniversary.As a novelty in the design of the iPhone 8, it could feature a edgeless display screen, with only little frame . This would take advantage of the whole screen to make the terminal much smaller. So you know, if you are planning to buy the latest iPhone 8 (or iPhone X) this year, you'll have to spend up to 1,000 euros base price, although in Spain the price could reach up to 1,200 euros with taxes already included. If you think that the because the iPhone 7s will be presented as a more "economic" version, and you are expecting that it will be cheaper then you will be disappointed, the iPhone 7s will be more expensive than both the iPhone 7 and the iPhone 7 plus. Do you think the new iPhone 7s will be a failure? Will the iPhone 8 be an authentic revolution like the original iPhone? Would you buy any of the new iPhone we'll see after the summer?